Cañada de Los Osos Ecological Reserve (CDLOER) is a 5,800 acre property owned by the California Department of Fish and Wildlife (CDFW). Located in the foothills near Gilroy, it is co-managed with the Friends of Cañada de Los Osos. This property offers fantastic opportunity for apprentice hunting, licensed hunters ages 17 and under. California has been enduring one of the worst droughts in recorded history. 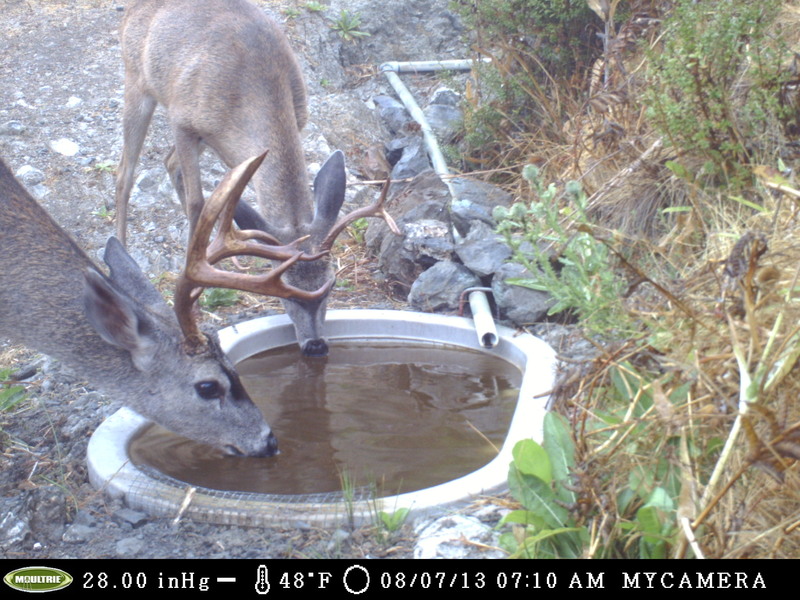 The drought has significantly impacted drinking water and quality of habitat for our wildlife. 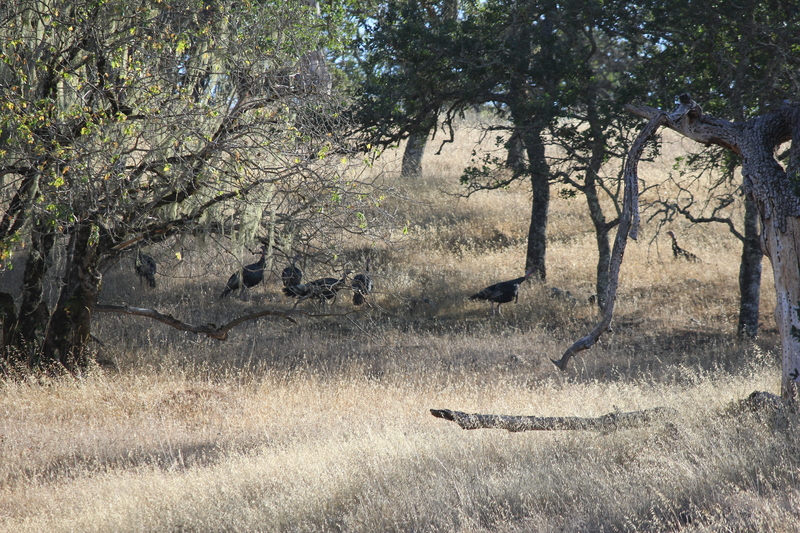 For wild turkeys this means less forage and a lower number of poults that make it to adulthood. It also means decreased range from reliable water sources.When the Friends of CDLOER approached the California NWTF to fund seven spring box guzzlers it was an easy sell. Dr. Bob Clement and Henry Coletto documented every spring they found on the reserve. Seven strategic locations were identified where water was a limiting factor. Bob and Henry, with some help from San Diego State University students, excavated these sites with shovels. 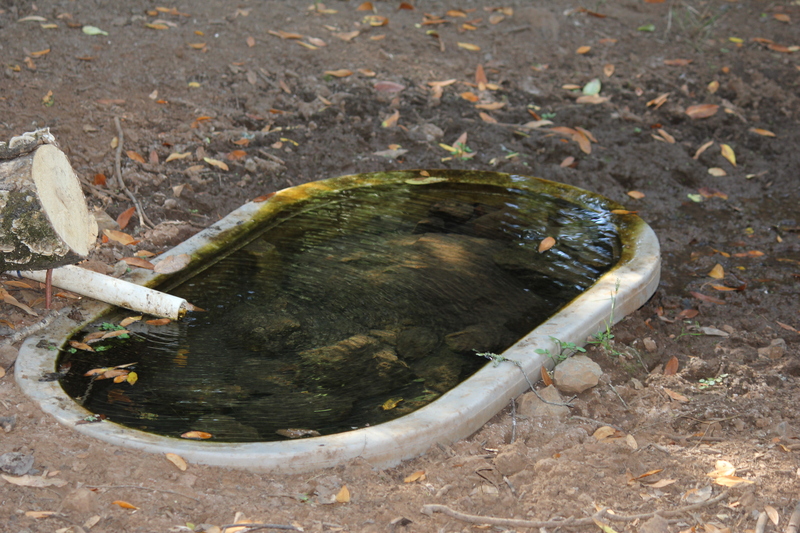 They then installed redwood “spring boxes” that would gather the water run-off from the spring. 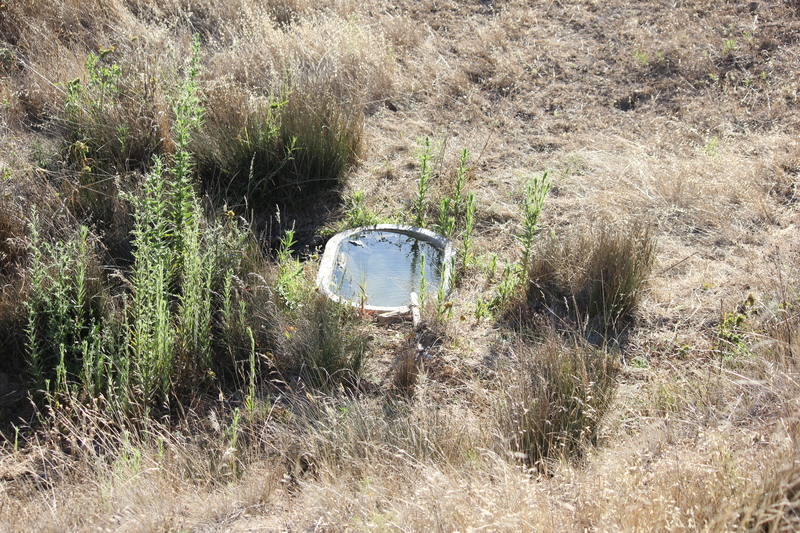 An outlet pipe, which directed the water down to a bin for wildlife drinking water, was also installed. Rock and wire were placed along the bin as escape routes to prevent drowning small wildlife, such as rodents. 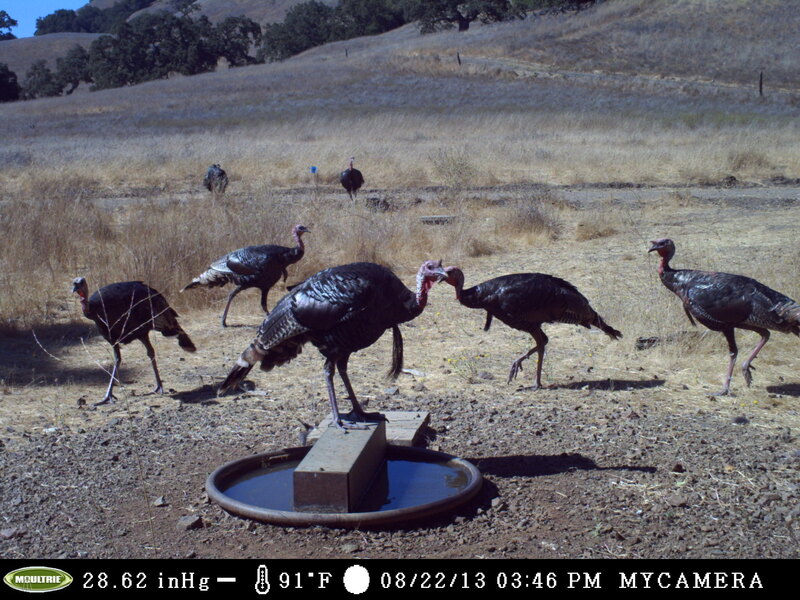 Consequently, these guzzler sites help to expand the range of all wildlife species throughout the reserve, including wild turkeys. This helps them to utilize a greater range of resources during the dry months of the year. These guzzlers are even more vital during this time of drought. We would like to thank the Friends of CDLOER for their dedication and passion toward wildlife, habitat and hunting heritage. They are true stewards of the Save the Habitat. Save the Hunt. initiative.